A genuine sign of pure Bengaliness. Chingri machher malai curry or Prawn coconut curry is one of the most popular preparation in the region. It is my favorite dish of Prawn so far. My mouth immediately starts watering the moment I hear the name of it! Usually prepared with large Prawns but one can use any kind of Prawns or Shrimps. 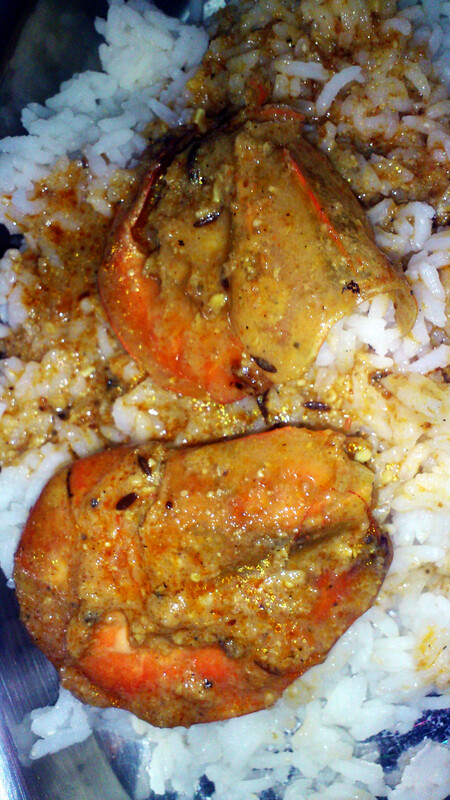 Because we use large things here we use “Golda chingri” (Lobster) or “Baagda chingri” (Crayfish) in most of our kitchens. The main ingredient in this is the coconut juice and it makes me crazy like hell! You will taste spices, hotness and sweetness in every mouthful. I just love it!